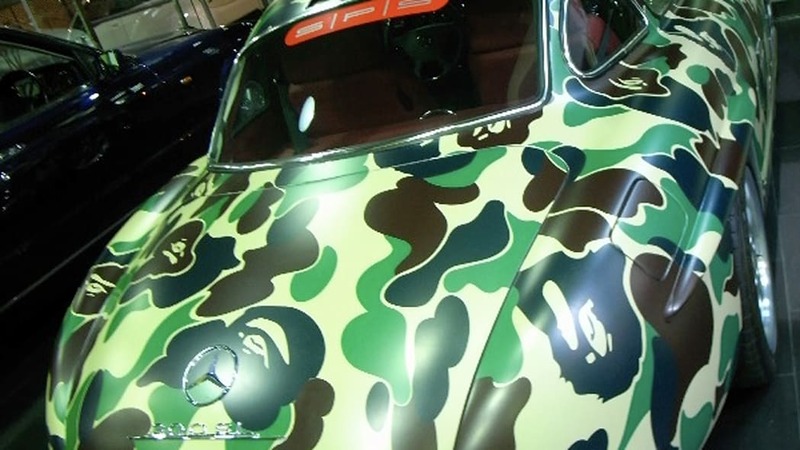 Of all the fashion/automotive collaborations we've seen, few are as bonkers as those of A Bathing Ape fashion house designer Nigo. 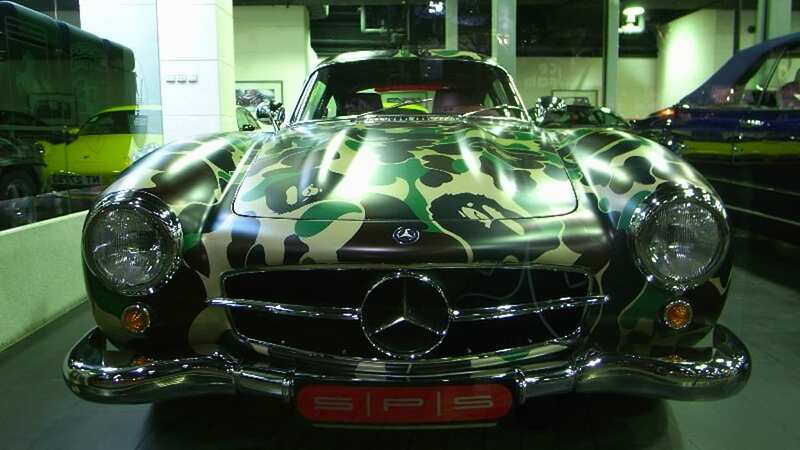 The Japanese icon has given the BAPE treatment to some of the most expensive automobiles on the market, including camo'd Rolls-Royce Phantoms and pink Bugatti Veyrons. 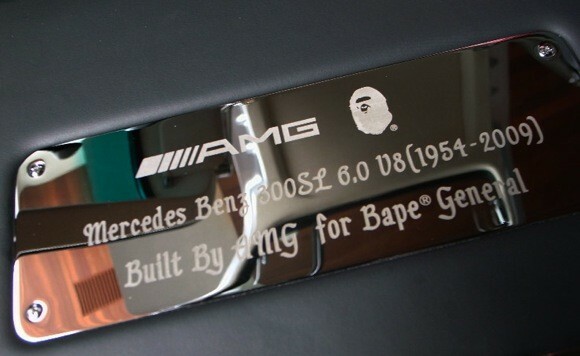 But now, after laying hands on Volkswagen's Bugatti and BMW's Rolls-Royce, Nigo has forked over his stylish cash to Mercedes-Benz tuning division AMG for a modern riff on a classic 300SL Gullwing. So far, only this dedication plaque has surfaced, but that tells us all we need to know. The vehicle in question appears to have started its life as a 1954 Mercedes-Benz 300SL, but undergone an engine swap this year to place a modern 6.0-liter V8 under the hood. 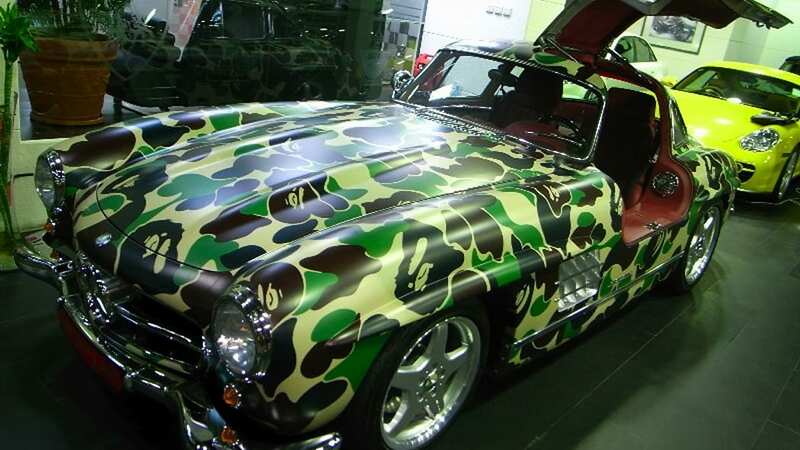 No word on what styling tweaks may have been carried out, but we wouldn't be surprised if the vintage Benz proved hard to find in a tinted jungle. UPDATED with images and gallery.